He is a very experienced and versatile business manager with over 20 years’ experience in the Nigerian healthcare sector. He has managed several organisations within very senior management capacity in Nigeria. Ehi has a Mass Communication background before the interest in Occupational Health and Safety where he has become a renowned expert. He is also a driver of key public health projects alongside health, safety and wellness processes in Nigerian workplaces. 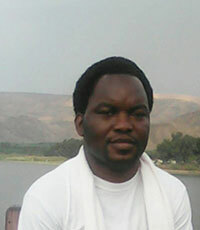 He is a trained and seasoned professional with an MBA from Metropolitan School of Business Management U.K, an M.Sc. Workplace Health and Safety (Pebble Hills University Delaware USA), Advanced Diploma in Occupational Health and Safety Management from IASP-USA and other international certificates in Society and Health from Harvard University, Health and Wellness from Arizona State University, Global Health from University of Geneva, Population Health from University of Manchester, Science of Patient Safety from Johns Hopkins University College of Medicine, Obesity Causes and Management from University of Reading, Behavioural Medicine from Karolinska Institutet Sweden, Global Social Entrepreneurship from Philanthropy University, Healthcare Innovation and Entrepreneurship from Duke University, Mobile Phones for Public Health from Institute for Technology and Social and Social Change Washington, Disaster Management from University of Pittsburgh, Ergonomics Management from OSHAcademy, Industrial Hygiene from OSHAcademy, Accident Investigation from OSHAcademy and a number of other international certifications from very renowned Universities and professional institutes across the world. Ehi also blogs on very professional issues www.ohsmcomng.blogspot.com with a very high readership across many regions of the world. 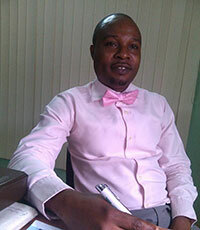 Ehi Iden is not just a business manager; he is a leader skilled in respectful management and value for human resources. He holds memberships of International Commission for Occupational Health (ICOH), World Safety Organisation (WSO) and Society for Occupational Health Psychologists (SOHP). He is the West African Regional Chairperson for Patient Safety Movement Foundation where he leads initiatives and policies on Patient Safety, he is also the initiator of Action for Preventive Health Concerns (APHC) and 7.2 Initiative which are both non-for-profit social venture. Dr Kevin Chidozie Uzoma is a qualified and registered medical doctor under the Medical and Dental Council of Nigeria (MDCN), having graduated from the College of Medicine, University of Lagos in 2006. Since his graduation he has furthered his expertise in the field of medicine, especially in the area of Occupational Medicine, which has seen him graduate with Distinction from the University of Manchester England and attain other related degrees and certifications. Other notable academic achievements by Dr Kevin, include a Diploma in Occupational Medicine from the Faculty of Occupational Medicine London and licenses in Advanced Trauma Life Support (ATLS) from the American College of Surgeons, as well as Advanced Cardiac Life Support (ACLS) and Basic Life Support (BLS) from the American Heart Association. Kevin also have vast knowledge and training in Health Safety and Environmental management both locally and internationally, achieving an International Certificate in Occupational Safety and Health-ICertOsh from the British Safety Council (equivalent to NEBOSH IGC). 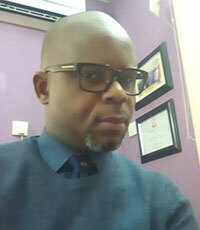 With regards to experience, Dr Kevin has amassed over 10 years in the health sector, having worked as an Occupational Health Physician, Occupational Health Advisor, HSE Manger-Occupational Health, and Senior Medical Officer for a number of organizations. Dr Kevin’s unique selling points, include his distinct ability in the development of Occupational Health Management Systems, through policy development, organization and planning, monitoring, auditing and reviews, as well as his expertise in strengthening existing systems and improving quality delivery through the application of the principles of clinical governance. Dr Kevin is a member of the Nigerian Medical Association (NMA) and the Society of Occupational and Environmental Health Professionals of Nigeria (SOEPHON). Lastly, he runs an occupational health blog www.ohrdi.org/blog which brings to light topical issues about workers’ health and workplace interventions. Dr. Akinyele is an experienced Medical Doctor/Clinician with over eight years of post -qualification experience in clinical practice. He is a 2004 graduate of College of Medicine of University of Ibadan where he obtained Bachelors of Medicine, Bachelors of Surgery (MB, BS), holds a Primary Fellowship of Faculty of Surgery from the West African College of Surgeons and an American Heart Association (AHA) certified Basic Life Support (BLS) provider. He possesses excellent communication skills, excellent numerical and analytical skills with ability to learn fast and always eager to learn new on new tasks. He is a dedicated, conscientious and hardworking Medical Doctor who has the ability to work under pressure and unsupervised, a great team player, highly proactive and innovative in decision making, with excellent training and transferring of knowledge and skills. He practices clinical Medicine with so much empathic passion and able to deal with people from varied background and nationality creating an excellent client decency and satisfaction. 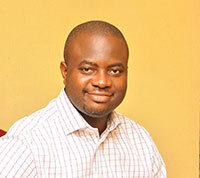 Akeem Alao is a 2001 graduate of School of Medical Laboratory Sciences of Obafemi Awolowo University, Ife. His career has spanned across many healthcare facilities and Diagnostics Centres in both full time and locum basis. He is a very intelligent and reliable Scientist you can trust. He is a registered and licensed member of Medical Laboratory Science Council of Nigeria (Microbiology). Akeem also holds certificates in Health and Safety Management from OSHAcademy, Certificates in Global Tobacco Control Training from Johns Hopkins Bloomberg School of Public Health, Certificate in Drug and Alcohol Testing from Quest Diagnostics USA, Diploma in Workplace Safety from ALISON UK, Certificate in Customers Service Management from ALISON UK, Certificate in Operations Management from ALISON UK and a certificate in Basic of Health Economics form World Bank Institute. Oluyemi is a 2011 graduate of School of Nursing and Midwifery of University of Abuja Teaching Hospital, a certified and registered Nurse by Nursing and Midwifery Council of Nigeria. He also has a Post Nursing qualification, a certificate in Occupational Health Nursing from the School of Occupational Health of University College Hospital Ibadan and this qualifies his as a registered Occupational Health Nurse. 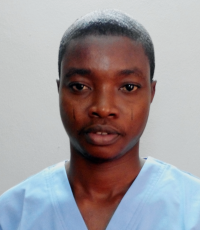 Oluyemi is clinically influential and has excellent patient care qualities. He is vast in operating several Occupational Health diagnostic machines as spirometers, audiometers and he is also certified by Quest Diagnostics in Drug and Alcohol testing (on-shore and off-shore. He is very dependable and believes in processes. Oluyemi is well trained with a number of certifications as Diploma in Food Safety by Alison UK, Diploma in Workplace Ergonomics by Alison UK, Diploma in Customer Care by Alison UK, certificate in Health and Safety Management by OSHAcademy, certificate in Health Economics by World Bank Institute, certificates in tobacco control from Johns Hopkins Bloomberg School of Public Health and also a certificate in Basic Life Support by University College Hospital Ibadan.